At the John F. Kennedy University College of Law, we believe that no education is complete without practical experience and service to the community. Through our community law clinics based at the Pleasant Hill campus, our second- and third-year law students offer free legal services to low-income community members and seniors. Students work under the supervision of the Clinic Director. In addition to working at one of our legal clinics, students may also gain valuable practical experience through external legal internships with local organizations. The Housing Advocacy Clinic assists low-income clients threatened with losing their housing. In partnership with Bay Area Legal Aid, the Clinic assists clients facing unlawful detainer actions, provides assistance in Rent Board proceedings, and advocates on behalf of tenants. Clinic staff also provides counseling at the San Francisco Tenants’ Union and Project Homeless Connect. The Legal Clinic for Elders offers free legal services to low-income individuals 60 years and older for drafting simple wills, powers of attorney, and health care directives. Seniors can also receive assistance in addressing issues of financial, emotional, and physical abuse, including obtaining restraining orders, if necessary. Every external field placement is vetted by The Director of the Clinical/Public Interests programs to ensure that the students are doing work that qualifies for the units such as drafting motions, meeting with clients, etc to ensure it is a valuable learning experience for the student. After the first year of study, students are encouraged to obtain practical experience at John F. Kennedy University College of Law’s law clinics or through placement with government agencies, public interest firms/clinics or private law firms. 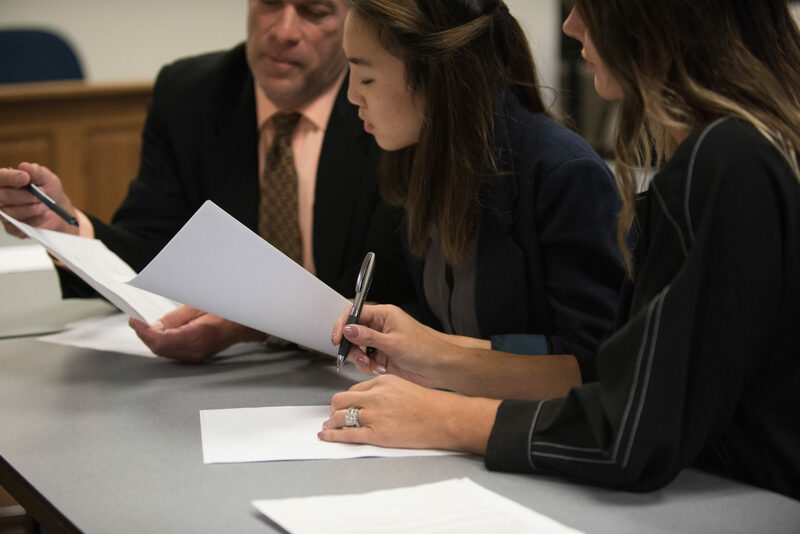 During this experience, students engage in a wide array of legal activities and experiential learning – legal research, drafting legal documents, client and witness interviewing, and trial preparation. Participation is for academic credit. Students working with our legal clinics are able to take on the responsibility of all aspects of legal cases under the close supervision of the Clinic Director. Each student obtains the status of certified legal intern from the State Bar of California and appears in court as a legal advocate for their clients. Students attend a weekly seminar to discuss the various cases as well as to develop strong lawyering skills. During these classes students learn the substantive and procedural laws related to the specific clinic’s area of specialty. The classes also include discussion of practice skills (including interviewing skills, legal drafting skills, courtroom etiquette and procedures) and professional responsibility issues related to representation of clients. To apply all students need to fill out an application and submit it to Ora Prochovnick, the Director of Clinical/Public Interest Programs. The students have to be approved by Ora before they can register with one of the clinics or apply to an internship position. Put yourself in a position to serve.